If you need a large space for a family reunion or business retreat at the beach, come to The Polynesian Resort. 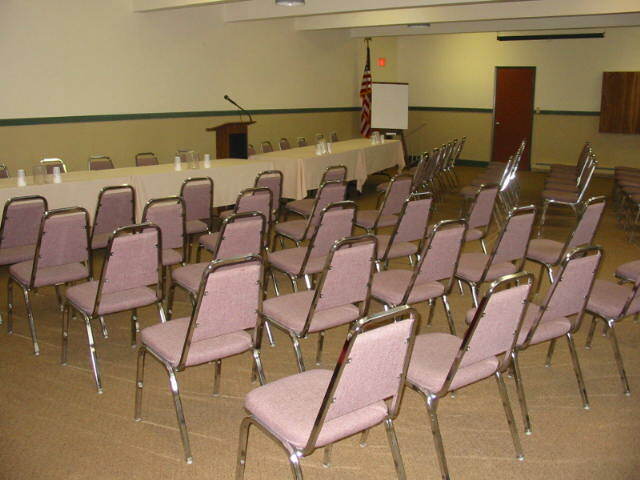 Our meeting room can accommodate groups up to 100 and can be set up in a variety of configurations to fit your specifications from theater style to rounds. 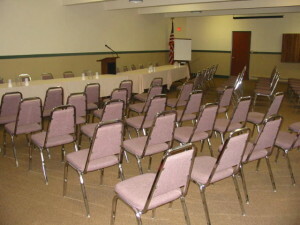 A podium and microphone are also available to use. Contact Becky Glasgow, our Group Sales manager, to get a complete information kit. In addition to our meeting room, The Polynesian Resort is one of the most versatile ocean side or beachfront hotels in Ocean Shores. We have rooms that are perfect for families large and small, couples, groups or someone looking for a special place to get away. We offer spacious studios, one and two bedroom suites, most with spectacular views of the dunes, beach and ocean for you to choose. Enjoy one of two exceptional penthouse suites with sweeping ocean views that sleep up to six. Our units are designed to provide the comforts of home so you can relax while listening to the waves crash against the shore and enjoy the many amenities we offer a myriad of local attractions and events in the area. All of our unit types are available in non-smoking and pet-friendly with the exception of the Penthouses. Just let the guest service agent know your preference.